Our reality is being formed by our values. If these values are money and the artificial image of a band (see Slipknot for example), then any band is dependent on the perception of the public, their public relations and the influence that certain individuals or media have. What shines isn’t always gold, though. Maybe this realization struck the lads, and good friends of mine, from Immoral Hazard but they decided, against all odds, to go through with this. The result of this, which I am listening to while writing these words, is exactly that. Music crafted by people with an earthly sense of reality. They acknowledge the difficulties because they feel them every day. Reality hurts. It strikes and wears you down. And this is the gold hidden in this album. They aren’t naïve and they don’t try to appear as something more than they already are. Their aspirations are within their grasp and the songs are written with honesty and mental sobriety. Now, let us go to the meat of this. Metal means riffs. If the riffs are there, then any band can create a decent album. This is not just a decent album. Every song has been worked to the point where the orchestration allows it to speak for itself, add to that Theo’s vocal performance, which is that of a very pissed off individual ( listen to ‘Eternal Exile’ ). The drums are terse and reserved, even though Tolis is more than capable to rip his drum kit, in a way that support the songs and make them stand out and the bass follows the songs, giving them depth. But, what really shines is work done with the guitars. The riffs of ‘Pitch Black’, ‘Self Enemy’, ‘Mentor’, ‘Reborn’ are exactly the kind of riffs that create mosh pits with ease. The solos in ‘Vultures Dance’ and ‘Dead end trails’, especially in the latter, show early shines of the bands evolvement. The last two songs, ‘Eternal Exile’ and ‘Last Nerve’, are two thrash hymns that leave the listener beaten down and exhausted by their sheer intensity. As soon as the album ends, the listener stops, relaxes in his chair and thinks with an introspective look on his face. How is it possible to be self-financed and have such a well done production? 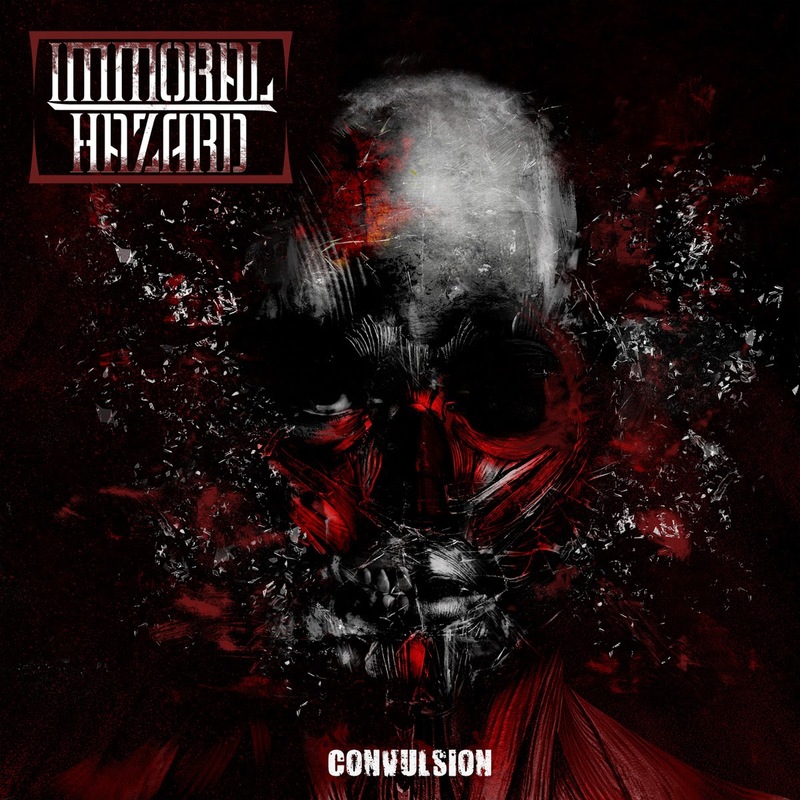 ‘Convulsion’ is an album filled with confidence, clear sound that allows every instrument to be heard and polished, as to sound modern but not plasticated. There are weaknesses, of course, as every debut has, and these weaknesses are some of the bridges used to interconnect a song. Just listen to the bolt thrower-ish riffs of ‘Mentors’ and ‘Haven’, or the clean vocal lines of ‘Dead end trails’, or the uniqueness of ‘Vultures Dance’. This is an album that you listen to from start to finish and feel your blood boiling. This is thrash metal. Direct, dry and angry.